Many people don't know that caesar salad originated in Mexico - not italy. 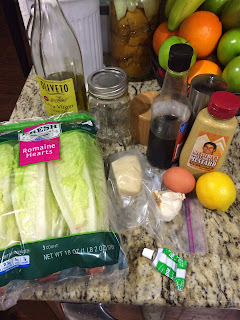 It is a mexican salad and it is fantastic when done correctly. When I was 9 years old I traveled to Mexico with my grandparents for the first time. My sister and I spent 3 months of the summer traveling around Mexico and enjoying the country, and locals, not as tourists, as people with the insider information, my grandparents have lived in Mexico since I was little. 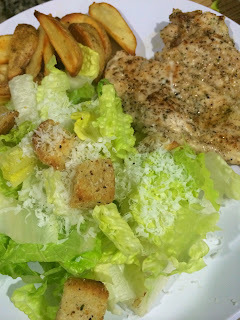 When in Guadalajara I had my first caesar salad, it was made at the table by a chef and it was amazing and fascinating and delicious. It was the real deal caesar dressing with raw egg yolk and anchovies and it was salty and perfect. I'm not scared of raw egg yolk, I eat a poached egg every morning for breakfast, I purchase the best eggs I can find and I have no problems eating them raw in dressings, smoothies or any other way. 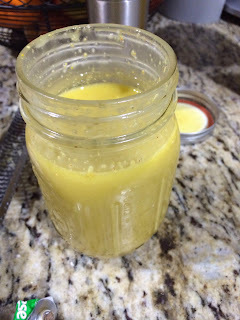 If you feel uncomfortable eating a raw yolk (even though the process of emulsifying it with salts, oils and other ingredients essentially "cooks" it) then you should quick cook it, by taking the yolk and putting it into a ramekin that is set in simmering water for 1-2 minutes until it has just started to barely thicken. 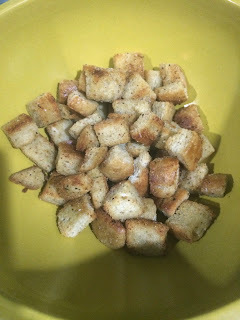 Take your butter and oil and warm on the stove until melted through, add your bread chunks and spices and toss to coat. 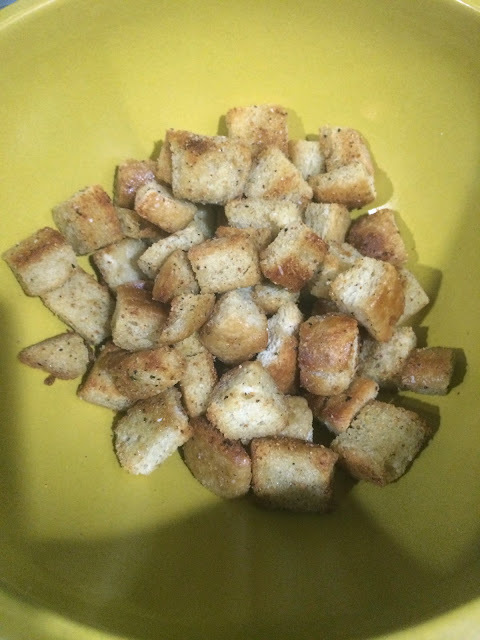 Then place in a 425 degree oven for 10-15 minutes, stirring every five until your croutons are browned and toasty. Take a mason jar and place yolk, worcestershire, lemon juice, anchovy, garlic, spicy mustard and salt and pepper into the jar and then shake it with the lid on. Then add in your oil, and shake vigorously until it has emulsified. Check your seasonings, and add more salt and pepper if needed. 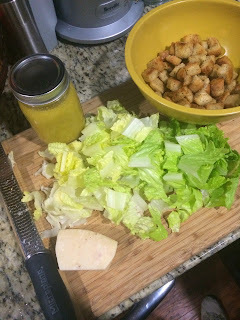 Dressings take a lot more seasonings then you would think, you have to season olive oil so it takes a lot for the flavors to show through.